Net Neutrality 2.0: Startups Wary Of FCC's Internet Traffic Plan : All Tech Considered The Federal Communications Commission's proposal would let Web companies pay for faster access. But entrepreneurs, like Reddit's co-founder, are wondering how they would have fared with such rules. The chairman of the Federal Communications Commission is offering up some new rules to govern traffic on the Internet. The draft document could allow some Web companies to pay more for faster access. It's the latest attempt by the FCC to adjust so-called network neutrality rules, initially intended to make sure that all traffic on the Internet moves at the same speed. The new rules won't be made public until May, but some members of the startup world are already worried. Reddit, a site where users post and discuss news articles and information, had more than 730 million unique visitors last year. It's the stereotype of an Internet startup. 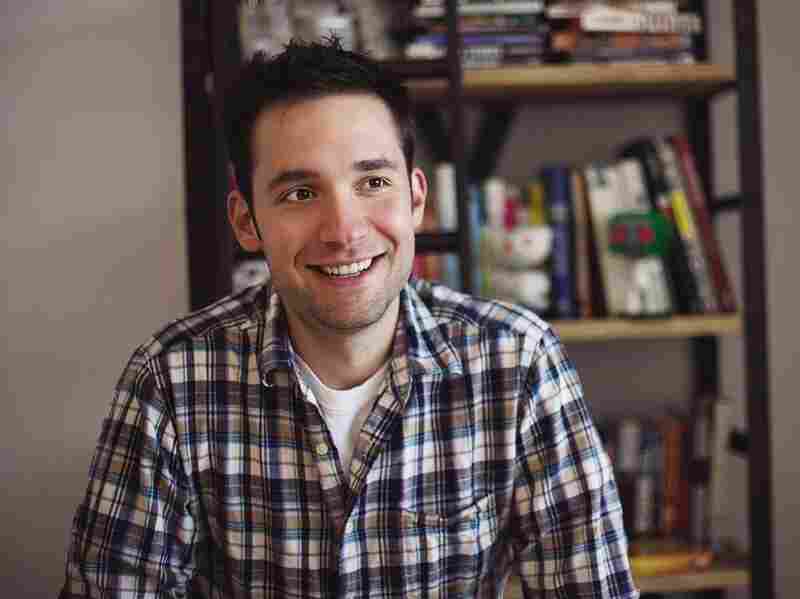 One of the founders, Alexis Ohanian, remembers the early days when he and his partner set up shop in Medford, Mass. Alexis Ohanian, co-founder of the Internet startup Reddit, says he and his partner had no connections and little money when they started the now-popular site. "We had just graduated, back in 2005, from college, and we didn't have any connections," he says. "We had an Internet connection, but we didn't know anyone. We had 12 grand in the bank between the two of us." Today, Ohanian says, Reddit has more traffic than CNN or The New York Times. He says it was able to compete from the beginning because at that time, older companies weren't allowed to pay for a fast lane. But Ohanian fears that is changing. Earlier this year, Netflix made a deal with Comcast to get faster access to its pipes. "It was — I hate to say it — but a harbinger of what's to come," Ohanian says. "And the Internet is that — what did we used to call it? — the superhighway. There should not be fast lanes just for people who can afford it." The deal between Netflix and Comcast came just after a federal court overturned rules drawn up by the FCC to make sure that all Internet traffic was treated the same. Now, the FCC is circulating a proposal that it says will meet the parameters set out by the court. But Ohanian, now an investor in startups, says any new rules that allow a deal like the one Netflix just made aren't really protecting the Internet. "I want there to be a competitor to Netflix. ... We all want there to be a competitor to Netflix, and it is going to be a lot harder now for a viable, streaming alternative to Netflix to spring up," he says. Ohanian's view represents many in the tech entrepreneur community. But Internet service providers such as Comcast and AT&T believe that what they're hearing so far about the proposed FCC rules will not get in the way of the next Netflix. What Do Net Neutrality Rules Mean For Web Users? Jeff Eisenach, visiting scholar at the American Enterprise Institute, has heard FCC Chairman Tom Wheeler's views about the proposed regulations. "And that is to apply a case-by-case approach ... rather than applying a blanket rule that would ban whole categories of conduct as the old rule did," Eisenach says. Eisenach says Comcast and AT&T all want there to be competition on the Internet. Right now, their customers demand Google and Netflix, but if a new startup comes along to compete with either of those services, Comcast can negotiate a better deal. "Comcast would love to have more competition in the market for the top video providers, just as it would love to have more competition in the market for search engines," Eisenach says, "because it would like to be the dominant party in that bargaining game." The FCC will discuss the proposed new regulations and open them up for public comment on May 15. This story should have stated that in addition to being a fellow at the American Enterprise Institute, Jeff Eisenach has been a "paid consultant for Verizon and its trade association," as The New York Times detailed in this report.